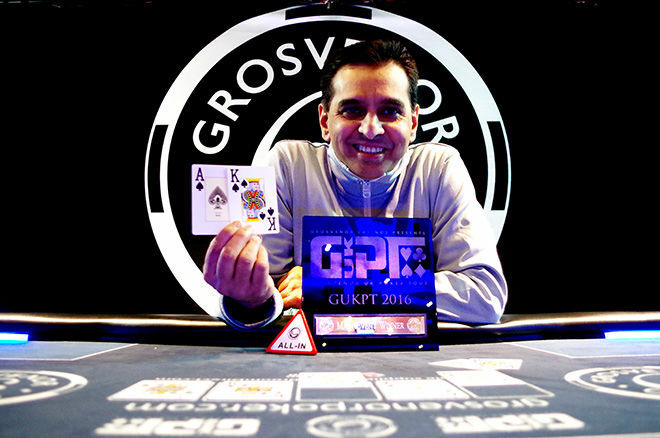 The eagerly-awaited GUKPT Manchester event kicks off next Sunday with an eight-day festival at Grosvenor Casino Manchester. The £1,100 buy-in Main Event, which starts March 2, carries a monster £200,000 guarantee. The £220 Mini Main Event runs February 26-28 with a £20,000 guarantee. Last year Reyaaz Mulla took the Main Event down, winning a career-best £58,300. He cut a heads-up deal with EPT Barcelona champion Tom Middleton before seizing victory and the GUKPT trophy. There were 232 players last year creating a £232,000 prize pool. Michael Zhang won the debut GUKPT of 2017 tour earlier this month for a staggering £113,000. The GUKPT London Main Event was the biggest in the tour’s history and has set a high standard for the rest of the year after attracting a whopping 435 entries.